Duo 17-year-old Kate Shortman and 18-year-old Isabelle Thorpe, who have competed for Great Britain in the World and European Championships, said they struggled to perform their usually effortless championship routine, which includes twirls and kicks, in the swimming pool full of litter. According to an article on Huffingtonpost.co.uk, they performed the feat as part of a challenge from Big Bang UK Young Scientists and Engineers Fair in Birmingham – which encouraged young people to raise awareness of the impact of plastic pollution in the oceans. Research from the Big Bang Fair has found more than a quarter of 11- to 16-year-olds want advances in science, technology, engineering and maths to tackle the threat of plastic in the oceans. It’s not the first awareness-raising stunt to have caught the public’s attention. In November, a fish and chip shop in Lancashire served up battered plastic to its customers to highlight the levels of plastic packaging littering our oceans. 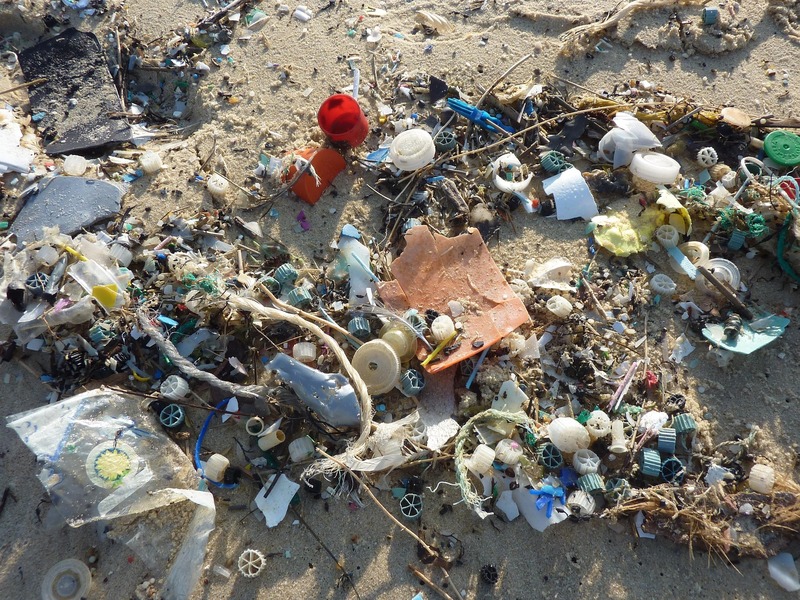 From Fairy Liquid bottles to Thunderbird toys, pieces of plastic up to half a century old have been washing up on UK beaches. Meanwhile in Indonesia, a pair of flip flops and 115 plastic cups were found in a dead whale’s stomach.